After spending a decade climbing the professional ladder of the Marketing industry, Lauren Hurley was in desperate need of vocational inspiration. So she did what most find daunting, if not impossible. She hopped down, and hunted for change. Fortunately for Lauren, she wouldn’t be starting on the first rung of the ladder that lay ahead. The daughter of a Broker, real estate had always been part of the conversation. The world of abandoned RMLS sheets, open house signs collected in the pouring rain and a fridge full of leftovers from Brokers Open Houses was all too familiar. So, while she didn’t always know it, Lauren was being trained by her Broker mom. By osmosis, she was learning how to negotiate, how to communicate and best, how to advocate for clients. 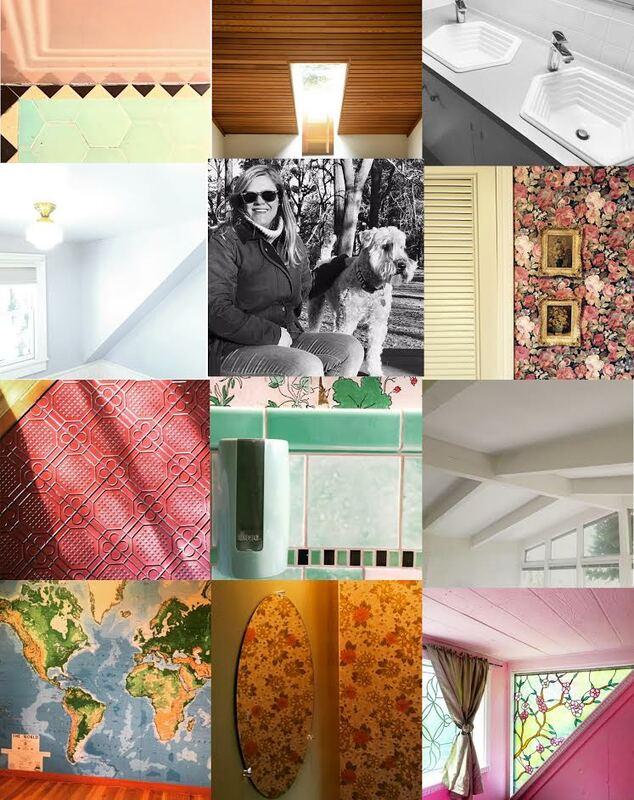 While her passion for Portland, homes, history, architecture, design, and working with people had remained constant throughout her life, it took returning to the world of buying and selling homes for Lauren to realize just how perfectly her personal strengths and professional skill set aligned with being a Broker. Whether it’s negotiating and advocating on behalf of her clients, her vast knowledge of the city’s most idyllic neighborhoods, nooks and crannies, developing stunning and effective marketing campaigns, or consistently going above and beyond the call of duty, Lauren knows that superior client care is the result of perfecting every detail along the way. The joy she finds in seamlessly and successfully guiding buyers and sellers through one of the most significant emotional and financial decisions of their lives, has Lauren wishing she listened to her mother years ago. (But please don’t tell her that.) When it comes down to it, taking exceptional care of her clients isn’t only what Lauren does best, it’s what she loves to do. When she’s not meticulously critiquing the usage of serif vs. sans serif font, scarlet vs. crimson hues, or brightness vs. contrast and density, you’ll find Lauren taking Captain Salty the Wheaten Terrier on trails and along rivers around the city, collecting new vinyl records, tinkering with her ‘78 VW Bus, whipping up culinary treasures, or doing her best to imitate Serena on the court. We immediately had a great relationship with Lauren. She completely understood the kind of home we were looking for. She provided insightful perspective on any listings we found ourselves, and ultimately pointed us to the house we purchased. When we encountered difficulties with our seller, Lauren offered pragmatic recommendations while giving us the details to make informed decisions on our own. She did a fantastic job of communicating with all of the involved parties (listing agent, lender, title company, the city etc.) and keeping things on track so we didn't have to, right down to closing day. Buying a home can be a stressful process at times, and we can't imagine having done it without Lauren's help! Initially, we had no desire to work with a realtor. The reason being, we thought we could do everything ourselves so why would we want to pay someone to do the work we could accomplish on our own. That was a naive assumption, and I am immensely glad that we found Lauren. Everyday, Lauren went above and beyond helping us through all of the steps of purchasing a home. I cannot stress enough how much I would recommend working with Lauren. She will help remove the unknown and a lot of the stress out of your purchase. When any of my friends ask who they should work with when they are looking to buy a home, I know exactly who I'll refer them to: Lauren Hurley. Lauren did a phenomenal job helping us prepare our family home for sale. Her professionalism and attention to detail made the process almost seamless. Her marketing expertise was integral to the process and the property sold in just over 2 weeks! She was always available with resources and ideas that made it possible for us to plan the move to our new place at the same time the sale was occurring. As with any sale there are many details requiring close attention and Lauren was always a step ahead of those. Not only did she advocate for our interests, she went far beyond the call of duty on several occasions to prevent any potential obstacles. We enthusiastically recommend Lauren to any potential sellers and buyers as someone with great integrity, knowledge, energy and professionalism. She works hard for her clients in order to achieve the desired outcome. Twenty-Four Hours, Two Offers, Twenty Thousand Over Asking! JUST LISTED: ST. JOHNS RANCH READY FOR SUMMER NIGHTS! JUST LISTED: BADA BING BADA BUNGALOW!